Excess baggagge, single item, shared and full container! Custom made wooden crates! Different container sizes! Contact us today to take advantage of our affordable UK to Australia shipping services! Whether it's a single item shipment, excess baggage, boxes or full house removals to Australia or you are moving back to the UK we will help! For most people planning a shipping to Australia from UK getting a professional and detailed quotation is crucial. Our company offers a no-obligation and free of charge survey and quote no matter where you are in the UK. Fill out a simple online form to request a free no obligation estimate. Contact us 24/7! Click on the button below to phone us or dial 0800 612 6259. Enjoy great customer service! Send us a quick email regarding your UK to Australia shipment. See average shipping costs to Australia. Check what we need to know to price your move. Over the years we came across many different moving requirements. The experience and expertise we gained, helped us to develop moving solutions to meet the needs of most demanding customers. If you are looking for a cheap shipping firm that specializes in removals to Australia from UK and Back then you are in the right place. We undertake jobs of each size, from 1 item to full house moves. No move is too small or too big! Get the service you deserve! Cheaper way of sending excess luggage to OZ. Same day collection available but subject to availability. Different sizes and types of boxes are available. Next day delivery buy online with next day delivery. Professional export packing and furniture shipping. Single item, part and full home content relocation. 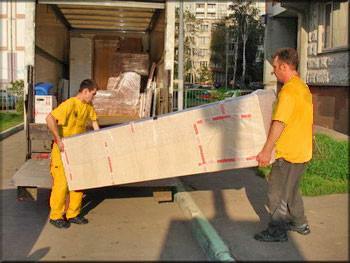 Complete relocation package for full house moves including packing, customs clearance, insurance. LCL, FCL, shared, part, group-age and full container shipping. Different sizes of crates and containers. Do you plan to take your pet with you to OZ? We can sort out all the paper work and the quarantine. Going on a bike tour or want to ship your motorbike too? We will crate and deliver it safely. We offer RoRo as well as car in a container shipping. Your goods and the car can travel together. There is no way a UK shipping company would have branches spread across the world. Shippers use shipping lines that own container vessels, different port crews load, unload and transport your container to the customs officers and next to the customs bonded storage warehouse. Finally UK based or Australia agents collect and deliver your goods to your new home, unpack, reassemble furniture and do some cleaning if required. Many hands involved make it important to use only qualified, certified, professional and checked shipping companies that provide the same services at a very top level. For that reason most of the top Australian and UK shipping companies we work with are either FIDI or BAR members. However we also work with many small and local moving firms that provide professional delivery service at affordable prices. Over the years we have been comparing UK companies shipping to Australia and now can offer delivery to most remote areas on the red continent, OZ. Even if you require to move at a very last minute we can help. Our emergency urgent shipping solution like same day collection or next day pick-up is want you may need if some unexpected things happen. 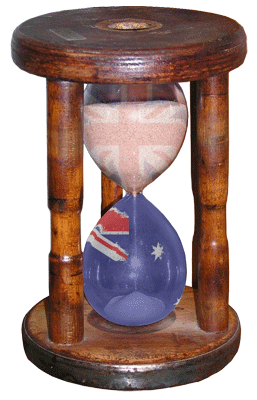 When you plan to relocate you must know that UK to Australia shipping takes on average 10 weeks - door to door. Your goods will be traveling in a steel container and should be properly packed to avoid any scratches, dents, cracks and other damages. Packing on your own is a good option if you want to save some money but unfortunately will affect the level of the insurance cover. Owner packed goods are more likely to be inspected which involves additional charges to you. For most people planning the shipping to Australia from UK getting a professional and a fully detailed quotation is very important. Our shipping company offers a no-obligation and free of charge survey and quote despite of where you are in the UK. What's door to door shipping? Do I need a packing service? Can I use my packaging? If you are looking for a cheap shipping firm that specializes in removals to Australia from UK then you are in the right place. 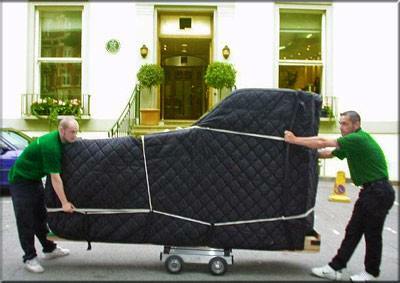 We undertake jobs of each size, from 1 item to full house moves. No job is too small or too big! We offer the delivery service that you deserve! Option 1: Boxes only – try to estimate the number, if you do not know how many ask for prices to ship 5, 10, 20 or as many as you think will be sufficient. Option 2: Boxes and selected furniture – try to specify the number of boxes and prepare a list of biggest items you think are high priority. Just choose the services you require and request a fully detailed quotation which will help you to make the right decision concerning what to take with you and what to leave behind. Estimating and providing information online, by email or on the phone is easy if you want to ship just a few boxes or some items. However everything gets more complicated if you plan to bring to Australia the entire contents of your household. Do not worry! We offer free survey during which our estimator will discuss your requirements in details, tell you what we can do for you, take the exact inventory, estimate the number and the type of shipping boxes required, calculate the cubic volume and prepare a tailor-made estimate. Of course this is a free and no obligation service. What's the best time to contact international movers? We have clients requesting quotes even 2 years in advance. Everything depends on your individual approach and situation. Some people like to have everything planned a year ahead and some leave it to the last minute. The quicker you contact us and book the job the higher chances you have for cheap shipping from UK to Australia. The estimate can be amended at any time at no costs. Contact us today for your free quote! Do I need to know the delivery address? No. At the quote stage you do need to know the exact delivery address. However you will have to specify at least a city or nearest biggest town. We will allow for 10, 20 or 50 miles radius delivery. At the pricing stage you do have to know the exact shipping date. As there are low and pick seasons by specifying the time of the year or a month your quote will be more accurate. The exact date can be provided when you are ready. The more notice you will give us the better. However we can handle collections with as little as just one day notice. Yes, Australian Customs and Border Protections especially the Department of Agriculture is very specific and strict on the type of gear you are sending from UK to Australia. Please visit the following link for more information about prohibited and restricted items from shipping to Australia. Most our customers is interested in the most economical way of shipping from UK to Australia. The cheapest option has always been the sea shipping. All moveables are always loaded in to a shipping container. We offer both group-age (single box, a few items) and full container service. Should you require a rapid delivery we can also offer cheap shipping from UK to Australia by air freight. None of UK freight forwarders providing cheap international shipping to Australia will be able to provide you with an insurance option to cover your valuables while in transit if you pack. We are not an insurance company and can't change this condition. Regarding the insurance we work as an insurance agent and can only offer the insurance option if you take the fragile or full packing service. Professionally packed equipment is less likely to be chosen for inspection which is equivalent to cheap shipping and saving money. For small shipments from UK to OZ we also offer tailor-made wooden crate design and build service just to keep your boxes and individual items together and separate them from other consignment. Alternatively your boxes can be palletised and shrink-wrapped for more secure delivery. You need to decide whether you would like to pack or have it done by professionals. The decision is yours! The insurance is not mandatory. To find out more about packing options please visit international packing services. Of course you can use your own boxes. To minimize the possibility of inspection and quarantine please use clean and new boxes only. Also make sure you make a generic inventory of what's inside and attach it to each box so the Australian Customs and Border Protection officers do not have to open the box for checking. For health and safety reasons please do not make your boxes any heavier than 30kg unless you have to. If you decide to pack you can order boxes and all necessary packing materials with us. Packaging prices will be provided as an option on our quote. How long to ship to Australia? 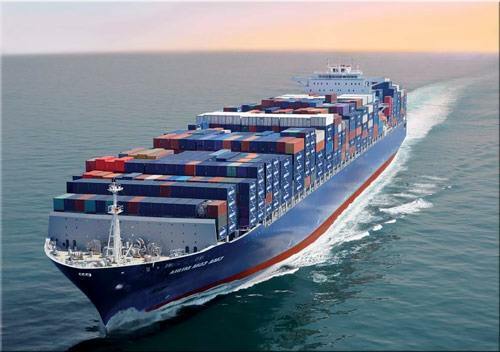 The cheap shipping by ocean, door to door, takes approximately 10 – 12 weeks. Just the time at sea is about 40 days. Loading and unloading the vessel takes about 5 days for each activity. You need to also allow a few weeks for the packing, collection, preparing valid and legal export / import documentation, clearing from customs, customs inspection, quarantine time (if applicable), delivery to the final destination. The delivery time by air depends on the service chosen (express or standard) and can be from a couple of days up to 2 weeks. What's door to door and door to port shipping? Door to door service is one of the most popular ways of shipping to Australia. It includes the collection from your UK address, shipping, customs clearance and delivery to the final destination. It is also the cheapest shipping service unless you can collect your shipment from the port. The port term may be a bit misleading here so let's explain what it actually means? Your effects will not be left in the docks. They will be transported to a bond store. The custom bonded warehouse will store you cargo at no costs for 3 days only. You need to act fast! Failing to collect within that time will involve additional, quite high charges. Our agent or customs broker will notify you immediately about the arrival of your paraphernalia. We can sort out the clearance which will cost between £65 and £115 depends on the port or you can do it on your own to make your shipping to Australia from UK cheaper. Can I deliver my belonging to your office? Yes, you can bring your belongings to our warehouse. If you have your own vehicle which is big enough to accommodate all your stuff this is actually another good way of making your shipping to OZ cheap. It will not make a huge difference to the final price but it always a few quid more in your pocket. More about shipping furniture. It takes some time to buy or rent a right house in a desired location. We offer storage both in the UK and in Australia. If required the short term storage will be provided at no cost. The long term storage is chargeable. If you require either option please make sure we have included them to the quote. Additional charges may apply and include inspection, quarantine, fumigation, cleaning, port charges, handling appurtenances at port and customs, duties and taxes. On the quote you will find all information and approximate costs that are not included in our door to door shipping from UK to Australia services. It may happen that your assets will be chosen for inspection however this does not happen very often. We will notify you if some of your chattels are subject to Australian quarantine or will have to be fumigated. If shipping under the Personal Importation Scheme most of your possessions can be shipped tax free. There are certain items and products like tobacco and alcohol, new equipment that is taxable. Once we have received the inventory of your furniture, equipment and items to be shipped we will indicate where additional procedures and charged may occur. We will advise what to do and offer solution for as cheap shipping from the UK as possible. We will break down all the additional charges and indicate approximate figures. Once we have collected or received your possessions we will provide you with a copy of the collection note. Next your items will be loaded into a container which has to be delivered by us to the port and passed on to the shipping line at least 5 days prior to the container vessel sails. Part load shipments are placed in the container by us in our warehouse. Full container moves can be loaded and sealed in your presence at our depot or at your property. Before long after the vessel has left the port and started the journey we receive from the ship agent The Bill of Landing. We will forward this important document to you. It contains the following information: approximate delivery date, the destination port, address and contact details of our custom broker and some other information. A few days before the planned delivery to the port you will have to contact our broker just to make sure they are ready to start clearing your things from customs as soon as they arrive. Remember you have only 3 days of free storage in the Australian Customs Bonded Warehouse. Depends on your earlier arrangement we will collect your goods and put them in our storage for you to pick up, or we will collect and deliver to your new address, or you will have to collect. What documents you will have to provide? We will require you to sign the inventory sheet and provide a copy of your photo passport page. In addition you will need to provide the exact collection address, an email address for the quote and further correspondence. We will also need a valid telephone contact number. All required documentation and contact details have to be provided prior or during the time of the collection. The international shipping to Australia is much different to the UK national and local removals where we have some chances to chase the clients that are late or have failed to pay for the service we have provided. If you move overseas and decide not to settle your invoice we have no chances of getting our money back. For that reason you will have to make the payment no later than on the collection day. Cheap UK to Australia shipping companies for their services also accept credit card payments by phone or online as well as bank transfers. In some cases we accept payments made after the collection but before the final delivery. The payment terms and conditions can be discussed individually. How much is the insurance? Is it worth? Should I have my furniture and personal items insured? Most of our clients who are shipping to Australia breakable, precious, fragile, sentimental and valuable things insure their belongings. 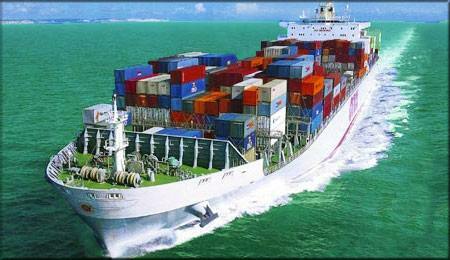 We are a network of cheap shipping companies and provide insurance on the insurance agent basis. The terms and conditions of the insurance policy offered are set by the insurance firm which by the law is regulated by the UK Financial Services Authority. In case of any claims you get your money directly of the insurance company. If you do not want to, you do not have to purchase any shipping insurance however please keep in mind that your gear will not be insured at all. The other thing to remember is that the owner packed furniture, equipment and personal belongings are not covered. To insure your possessions you will have to work out an approximate value and make the exact inventory of each item to be insured. To insure personal property which value is about £20000 you will have to pay £600, £10000 - £350, £5000 - £225, £2000 - £100, £1000 - £59, and if the value is below £500 the insurance will cots around £42. Before you decide on buying the insurance we strongly recommend you to read the terms and conditions to make sure you get the type of insurance cover you would like. The prices depend on many different factors. Please visit the following page dedicated to shipping rates to find out more about standard rates. For accurate prices please use our online form or contact our office. 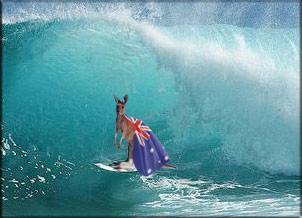 We will be happy to calculate the cost of shipping to Australia from UK at no charge and with no obligations. We look forward to hearing from you! Check out the latest information about working in Australia. Are you looking for a professional cheap international transportation company to transfer your lading from UK to Australia? We are the company you are searching for, with many years of experience! We can provide transport costs for sending anything to anywhere in the world. Just give us a call or use our online quote generator for your free and no obligation estimate. Each year the branch of the international transport gets more and more demand in the market due to the rising number of Britons relocating to Australia and the constant growth of the trade between different countries. If you are looking for a reliable partner to deliver your possessions from one point of the globe to another - we know how to do it very quickly and cheaply! Opportunity to deliver items "door to door"
Years of experience in the transport to Australia make us a professional logistic company, ready to undertake the international carriage of goods of any complexity. On our website, you can find comprehensive information on intercontinental conveyance services - particularly routes, transport methods, required documents, etc. We handle all types of international traffic. What is the international transport and why it is so important? Current international transport is a complex logistical challenge. Without the implementation of international freightage the foreign economic relations between the different nations of the world would not be possible, and this would jeopardize the economic development of each country. Now, almost each country in the world is not able to provide all the diversity of its consumption needs in the various sectors of the economy only through its own production. This problem is solved with the help of international trade, which makes it possible to distribute shipments between states. The international division of labour creates additional prerequisites to facilitate further expansion of the foreign trade and, as a result, international freight forwarding of cargo to Australia. The structure and dynamics of international trade is not constant, the flow of products coming from one country to another is constantly changing both quantitatively (increase or decrease) and qualitative. Great influence on the worldwide ware exchange has the structure of the world market and its unevenness of the dynamics of external traffic. If a country does not utilise all the features of the international trade, it risks staying far behind in the economic development. Therefore, any restriction imposed on the international deliveries between UK, Europe and Australia will negatively affect their economics. While the promotion of the worldwide trade leads to a significant increase in performance of the developed countries. Our cheap transport companies to Australia can export your products to any time you want. In addition to the direct transfers, we can provide our clients with all the necessary legal assistance and advise. The main items exported in the world with the help of cheap shipping companies, are still crude oil and petroleum products - gasoline, diesel, natural gas, ferrous metals (except iron), including semi-finished products, flat-rolled carbon steel and Ferro-alloys; machinery and equipment, including trucks, cars, processed wood things, mineral fertilizers, including nitrogen, potassium and mixed, anhydrous ammonia, coal, coke, ores and ore concentrates, wheat and muslin, household furniture, personal items and other less significant position. The import of articles from overseas is one of the most important areas of our company. Currently the number of outbound deliveries is much higher than the number of imports, which is largely due to the structure of the Australian market. When ordering a cheap delivery from abroad it is better to use the services of UK based logistic companies. This will help to avoid unnecessary problems with customs, and will be much cheaper. Thanks to the cheap shipping services we offer you can deliver to OZ various type of household furniture and domestic equipment, liquid fuels, iron and steel products, including steel pipes, medications, antibiotics, cotton, fresh and frozen meat and fish, citrus and other fruits, tea and coffee; crops, wheat, sunflower oil, sugar, cocoa and other products, alcoholic and non-alcoholic beverages, clothing, footwear and other consumer goods of daily and long-term demand, machinery and equipment, car, trucks, industrial equipment, appliances, furniture and many other items. The main routes used be the UK international freight forwarders are the countries of the former CIS, Eastern and Western Europe and South-East Asia. However, sending things to other countries like Australia, USA and Canada also has a pretty significant amount and value. The main foreign economic partners of United Kingdom are: Ukraine, Belarus, Kazakhstan, Georgia, Moldova, the Baltic States and Scandinavia, Germany, Russia, France, Denmark, Belgium, Spain, Italy, Holland, Poland, Czech Republic, Hungary, Slovakia, Greece, China, Mongolia , Finland, Canada, USA, Japan, Korea, Australia, Egypt, India, Turkey - but this is not a complete list of routes. The characteristic feature for the United Kingdom cheap shipping companies is that, the most of moves starts from London, Birmingham, Glasgow, Bristol, Southampton, Leeds, Edinburgh, Leeds, Manchester, Cardiff, Liverpool, Nottingham or Sheffield, in contrast to the U.S. and Europe, where freight is distributed to all the major cities almost evenly. In the trade from one country to another thousand of a variety of consignments must be moved using different schemes and different modes of transportation. For example the cheap shipping to Australia is carried out by road from your address to the nearest port, then by sea to a port in OZ and again by road from the port to your new home. The modes of transport are divided into road, rail, river, and sea and air freight. They can be also combined - inter-modal, multi-modal, mixed container, in which several forms of transport are used for a single shipment. A significant part of the international road transport from UK serves the countries of the former CIS, Eastern and Western Europe, China, Baltic, Mediterranean. 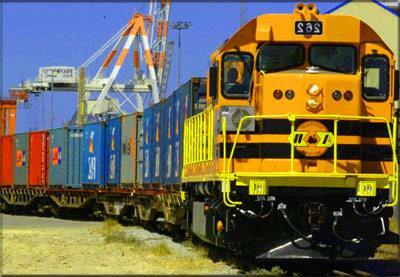 The automobiles are often used in combination with other modes of freight, most rail and sea. Some types of non-standard and oversize cargo may be transported only by specialized vehicles. It mainly affects the transfer of dangerous loads. To reduce the costs and the time of cargo delivery in some cases, so-called inter-modal freight transportation is used. When involving more than one mode of transit the tarns-shipment occurs. The most common version of inter-modal freight transport to Australia is sea ferry and road. Sometimes instead of the ferry the train tunnels are used to speed up the process. But at the same time transporting by road have some drawbacks too. 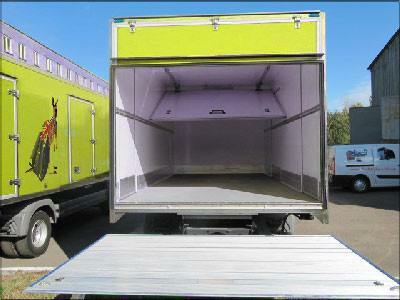 The main limitations are oversized cargo and the dependence on the road traffic. The transportation costs to Australia increases with the distance. However, in those cases where the point of delivery cannot be reached by any other means of carriage other than road, road are the only possible way of delivery. The vehicles are most often used for carrying food, medicine, consumer products, home appliances, and furniture, and sanitary ware, plastic products, building materials, lumber, automobiles, industrial equipment and railway containers up to 20 tons. But there are some disadvantages too. The main problem is too many rules and restrictions governing rail transport of various types and the associated high complexity in the processing of documents for international processing. In the UK and Australia the railway is the official customs carrier, so the customs clearance can be carried out at the stations of origin and destination. The rail transportation highlights to different loads, which are very common due to its undoubted convenience and high security of moved merchandises. Containers are made in standard sizes and differ depending on the type of cargo. 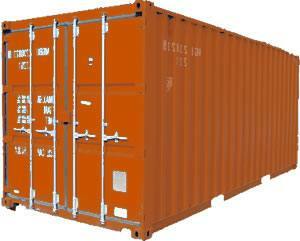 The standard containers are used for general cargo as well as for the fragile, perishable, bulk and other stuff. Transporting in containers is the necessary condition for the combined and mixed transit which except the railway involves other modes – sea and road. The main types of products which are most often transported as the rail freight are oversized loads (too long, too heavy for the road and air), bulk cargo, trucks and car shipping, equipment and machinery, yachts, boats, building materials, metals and metal products (including metal), lumber, furniture, plumbing, chemical products (which is not dangerous to humans), consumer products and other cargo. Transporting by sea - this is probably the most long-standing way of international traffic. The ocean has been used for centuries by mankind as the most extensive and cheap transport artery. Of course, cheap shipping from United Kingdom can be used only in those countries that have direct access to the sea, but often international delivery is the combined type, which includes several types of transit, including marine. The main advantages of transportation by sea to Australia is the low cost (at large distances is the most convenient form of carriage), sufficient mobility, shipments of very large volumes and masses of cargo, ensuring high security of things in transit. The sea transport has its drawbacks too - all possession must be packaged in shipping containers or placed in a special way, not affecting the safety of the ship, the ship's speed is much slower than land transport( rail and road), maritime ferrying has limited geography. Most often, the possessions are transported by sea or in various containers or on the ferry without overload (option inter-modal delivery), in Australia, according to the "Regulations for the carriage of items by sea." Some marine and standard railway containers have identical dimensions, which simplifies the use of combined overload circuits. International air delivery is the most mobile type of transportation, but also the most expensive, so they are used primarily for sending of mail and small high-tech equipment that are of high value or a very limited time of delivery. A special place in the international carriage plays the transport of dangerous stuff. For this specific type of delivery a number of very strict requirements have been set to minimize the potential risk of these abnormal items to the environment and humans. Transport of dangerous products by land is carried out only on special rolling stock, which is serviced by qualified personnel who have received special training and certificates. The need for additional equipment is present - communications, ADR kits and other equipment. Sign up to our newsletter and get exclusive offers and news, you won't find anywhere else, straight to your inbox!